The music is pumping, the crowd is cheering and people are dancing. This is science, technology, engineering and maths (STEM), but not as you know it. I’m at the Sydney Olympic Park Sports Centre as an invited judge for the 2016 Australia Regional FIRST (For the Inspiration and Recognition of Science and Technology) Robotics Competition. The competition is for students aged around 14-18 who, with the help of mentors and teachers, have six weeks (or significantly less in several cases) to design, build and program a robot for a designated challenge. This would be a difficult task even for seasoned engineers. Forty-three teams from all around Australia, China, India, Singapore, Taiwan and the USA are here to take part, and the atmosphere is electric. This year’s challenge is a medieval quest, with the arena designed as a castle and the challenge is to break through their opponent’s defences, weaken their tower with boulders (sponge balls) and try to capture it. 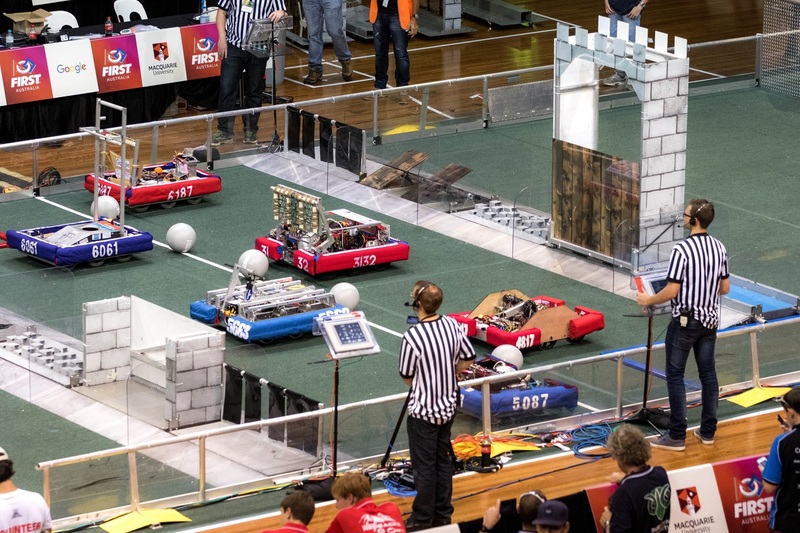 The teams have to work in an alliance with two other teams and develop a strategy together to beat the opposite alliance. Things can go wrong, and when something fails it’s back to the pit to problem solve and fix things under intense time pressure, all with the additional stress of the judges pestering them with questions. Every team I spoke to had an incredible story to tell. The perseverance and dedication of the students in both building their robots and getting here is overwhelming, and for some teams both have been a major struggle. A Chinese team from Lanzhou travelled here on their own without their mentor and had to ask companies and universities in China if they could borrow equipment and space in their laboratories to build their robot. The Narooma High School team, from New South Wales, raised funds by selling 300 cupcakes and ran a RoboCamp to help 8-11 year olds learn the basics of robotics and computing to also generate money. Another team is Thunder Down Under, which was established at Macquarie University and brings together mentors with students from schools across Sydney. 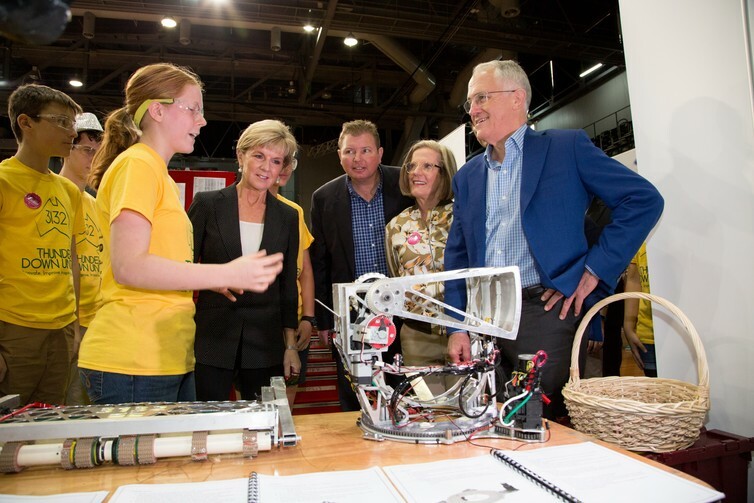 It’s the first Australian FIRST Robotics Competition (FRC) team, and helped bring the competition to Australia. 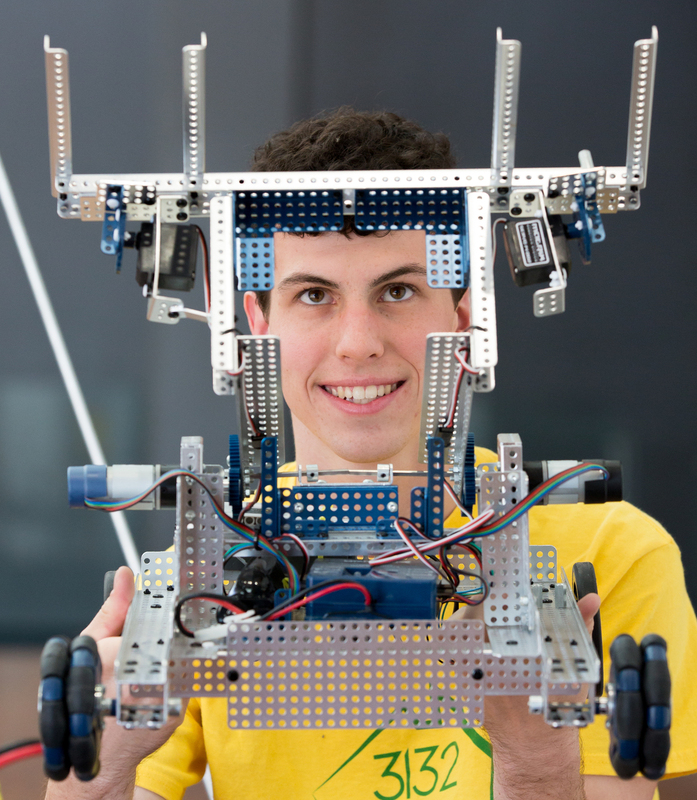 Since starting up in 2009, Thunder Down Under has brought robotics to rural and remote communities in Australia. 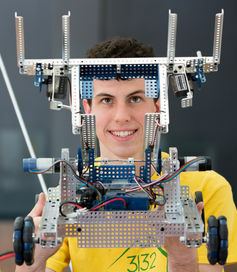 It has provided no-interest loans to teams for robotics kits so that teams can run RoboCamps and become self-sustaining. 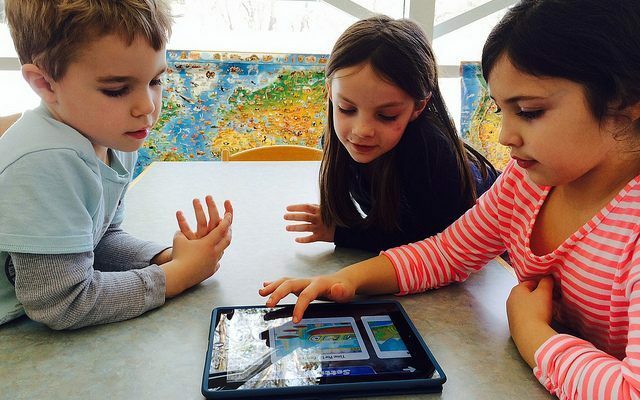 It’s partnered with another team to create FIRST ladies, a network for girls in FIRST globally. It has helped start up teams in China and also helped develop an underwater robot and lego-robotics-style water safety game to utilise technology to help save lives. At the inspiring FIRST ladies’ breakfast on Friday morning, I spoke to Louise from the Kan-Bot Crew, a rookie team from Kaniva, a small Victorian farming town located about half way between Adelaide and Melbourne. Kaniva College has around 100 students of secondary age and about 17% of the students are taking part in the team, an accomplishment in itself. 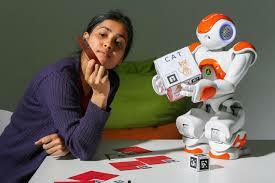 The team was supported though Robots in the Outback, a Macquarie University and Google initiative. The Kan-Bot Crew had just two and a half weeks to put their robot together and just one day with a mentor. They had difficulty finding local sponsorship due to a major drought last year, which placed financial stress on the small farming town. 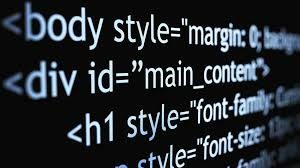 They were unable to bring their two programmers to Sydney and so three other teams from Wollongong, Narooma and Ulladulla, have been lending them their programmers and other technical assistance in order to keep them up and running. For the Kaniva students this has been an extremely valuable opportunity to mix with like minded peers. What really surprised me is that FIRST Robotics is not just about STEM. 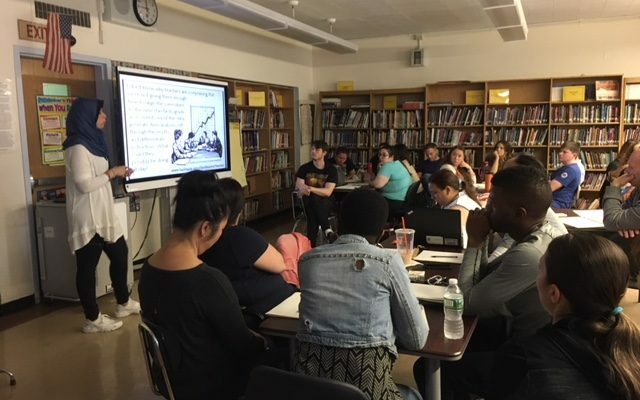 The students learn lifelong skills in leadership, entrepreneurship and communication as well as gaining confidence and meeting like minded peers from around the world. 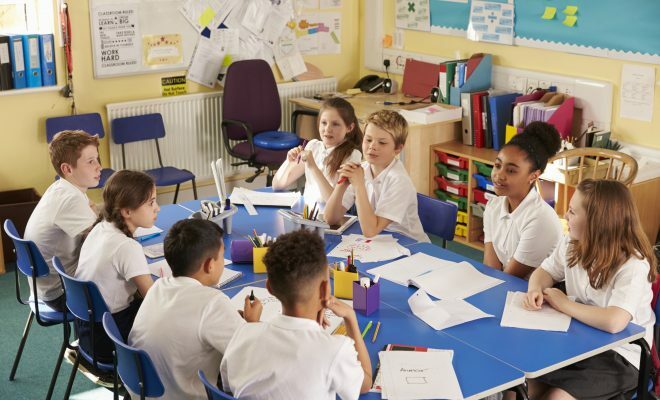 There is a real emphasis on teamwork and assisting those around you, and I don’t think I’ve ever seen such generosity of time and resources in the heat of intense competition. Teams go out of their way to assist each other through “gracious professionalism”, part of the ethos of FIRST. Judging the competition was tough. We spent hours behind closed doors trying to narrow teams down to worthy award winners. All decisions needed to be unanimous and eventually we reached consensus, wrote the award scripts and headed out to the arena just in time to catch the semifinal and finals. It is heart breaking that some teams – especially the rookie teams – do not know how close they came to getting an award and how long we agonised over the decisions. 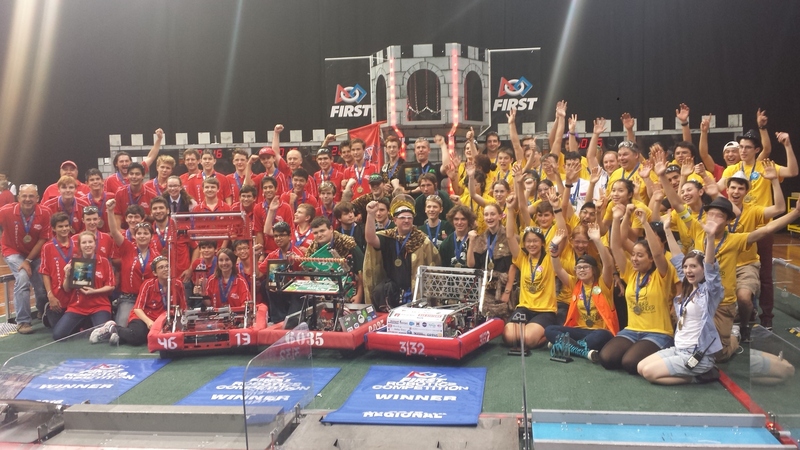 All teams were deserving of awards and should be proud of their efforts at the competition. But in the end, the winning alliance was made up of the Barker Redbacks, House of Ulladulla, Game of Drones and Thunder Down Under. As a judge, I’m also an ambassador for FIRST Robotics with a hope to inspire students by communicating my love of science, especially my passion for volcanoes, to show them what is possible through STEM. However, at the end of the tournament, I am the one feeling truly inspired and uplifted after meeting such an ambitious, motivated, and brilliant set of young people.